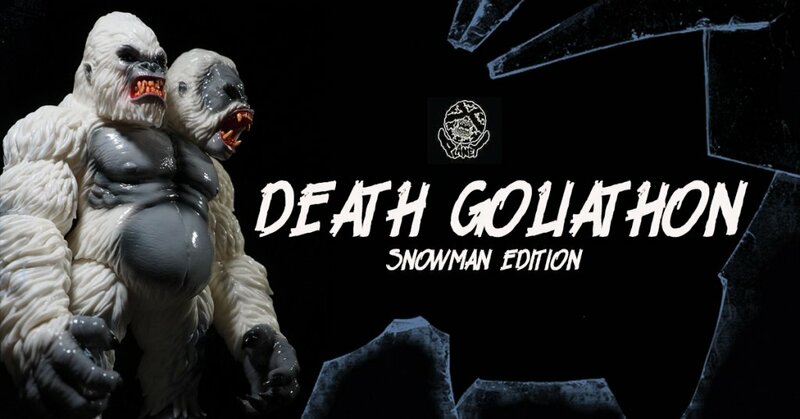 The epic “Death Goliathon” soft vinyl kaiju returns for a new colorway. This time courtesy of Jeremi Rimel aka Miscreation Toys. The double headed King Kong inspired creature appears in a brand new ‘Goldfish Edition’ painted with metallic and iridescent orange and gold sprays. Less than 6 pieces will be produced for this run. Lottery now open until Sunday (7/15) . Price: $399 each + Shipping.